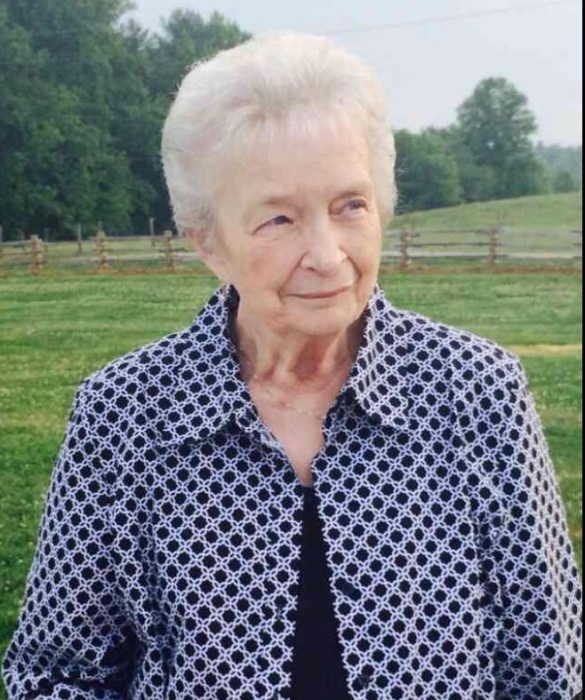 Mrs. Lois Dezern Johnson, age 77, of Elkin, NC, a loving wife, mother, grandmother and great-grandmother who was loved by all, passed away on February 9, 2019, at Forsyth Medical Center in Winston Salem, NC. She was born in Surry County on March 1, 1941, to the late Foley and Elsie Evans Dezern. She was a retired secretary for Estes Trucking for 24 years, was a member of Bessie’s Chapel Baptist Church, and was a graduate from Mountain Park High School. Surviving is her loving husband of 60 years Paul Jack Johnson of the home; two sons and daughters-in-law, Jackie and Toni Johnson, and Jeff and Tamara Johnson; seven grandchildren, Matthew Delano, Jordan and Marianne Johnson, Allison and Justin Sheets, Dakota Johnson, Morgan Johnson Joseph Johnson and Rebecca Johnson, Jessica Johnson; for great-grandchildren, Myles Sheets, Macy Sheets, Weston Testerman, BrantLee Testerman; sisters Betty Newman, and Helen Wall; several nieces and nephews. Funeral services will be held 1:00 PM Monday, February 11, 2019, at Bessie’s Chapel Baptist Church, with burial to follow in the Church Cemetery. Rev. Ralph Gross and Rev. Jerry Sizemore will officiate the services. The family will receive friends at Bessie’s Chapel Baptist Church from 11:30 until the time of her service at 1:00 PM. The family request in lieu of flowers memorials in the name of Lois D. Johnson may be made to the Bessie’s Chapel Baptist Church 362 Bessie’s Chapel Road, Elkin, NC 28621. Moody-Davis Funeral Home in Dobson is serving the Johnson family.